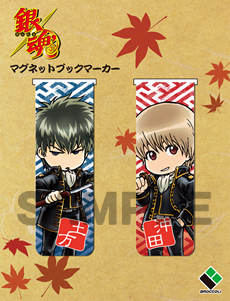 Broccoli will start selling Gintama magnetic bookmarkers from 30th August 2012. 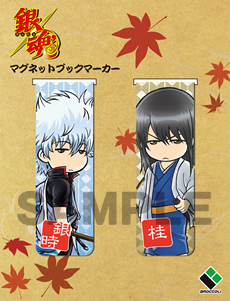 They come in sets of 2, with 3 different character combinations of Sakata Gintoki & Katsura Kotarou, Hijikata Toushirou & Okita Sougo and Takasugi Shinsuke & Kamui. 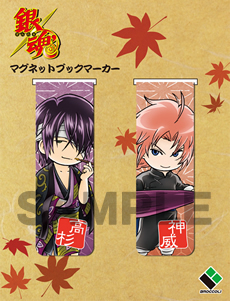 A set retails at 525 yen.